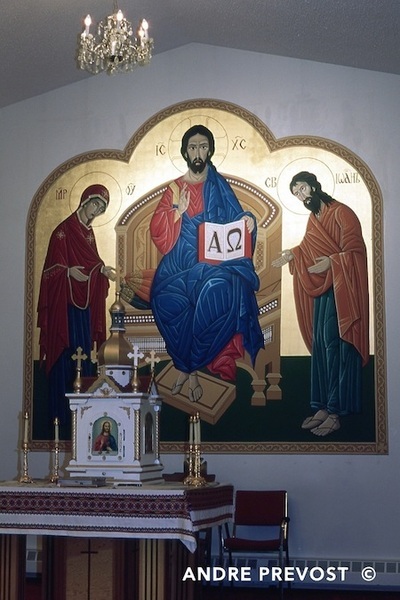 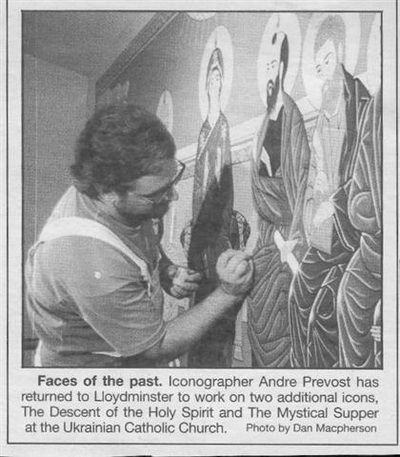 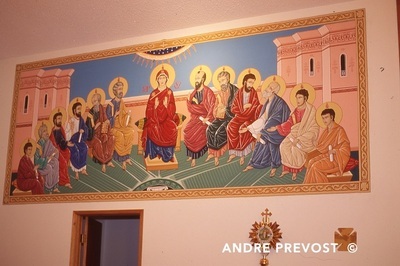 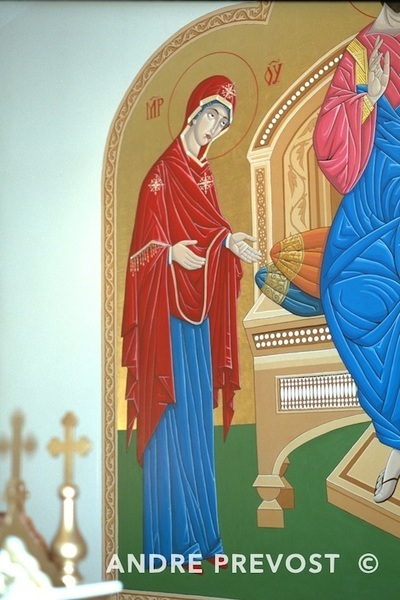 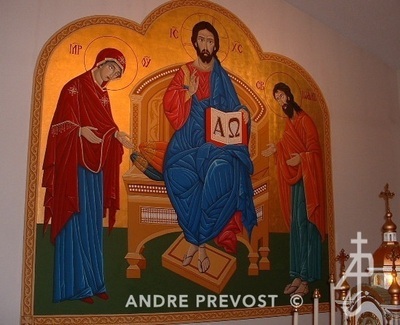 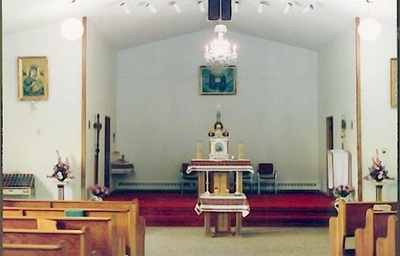 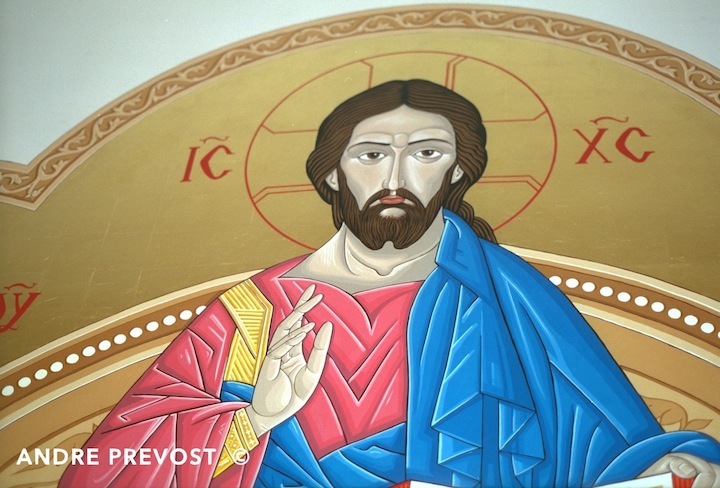 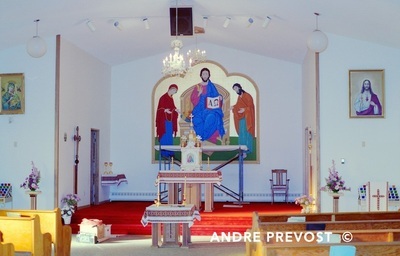 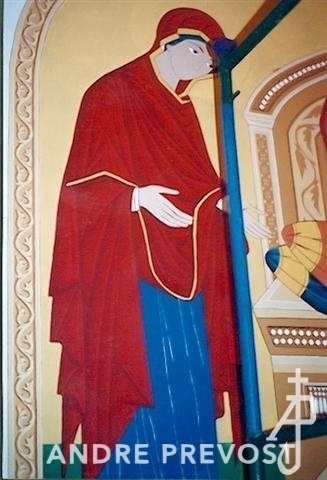 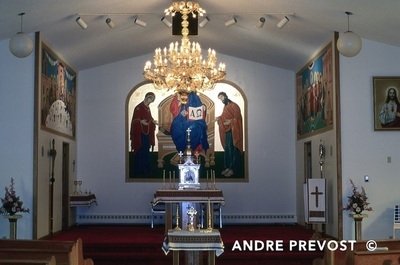 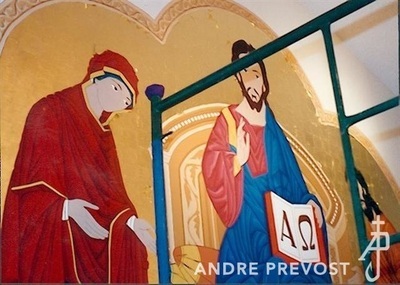 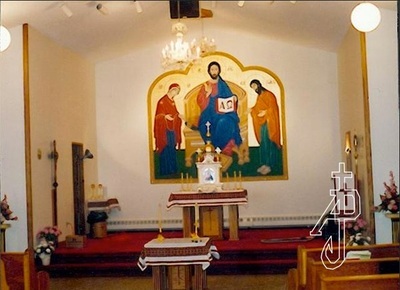 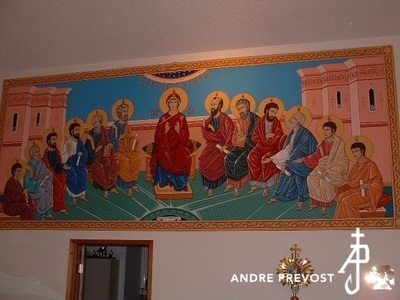 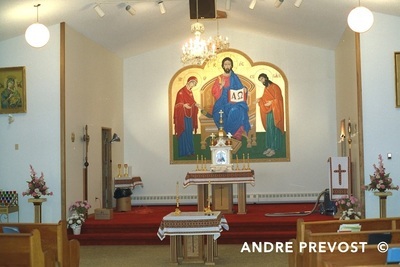 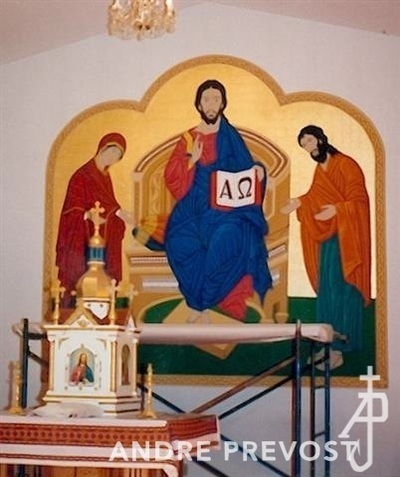 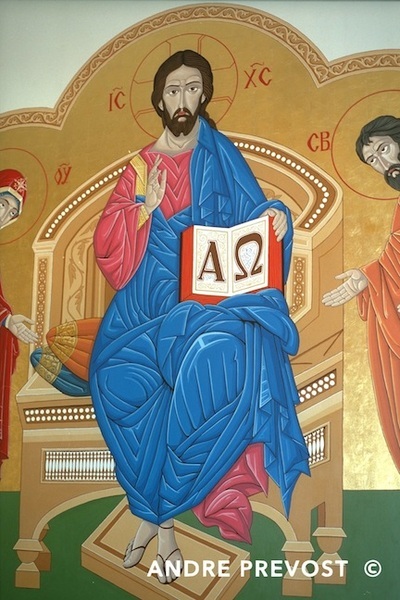 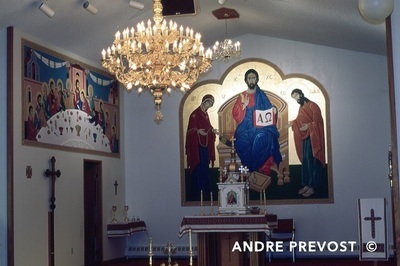 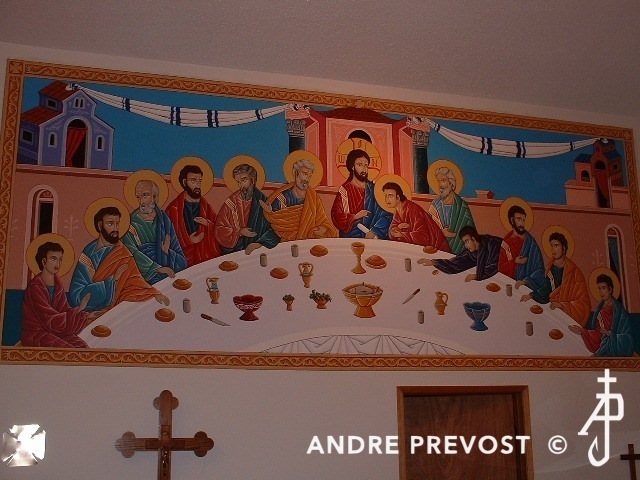 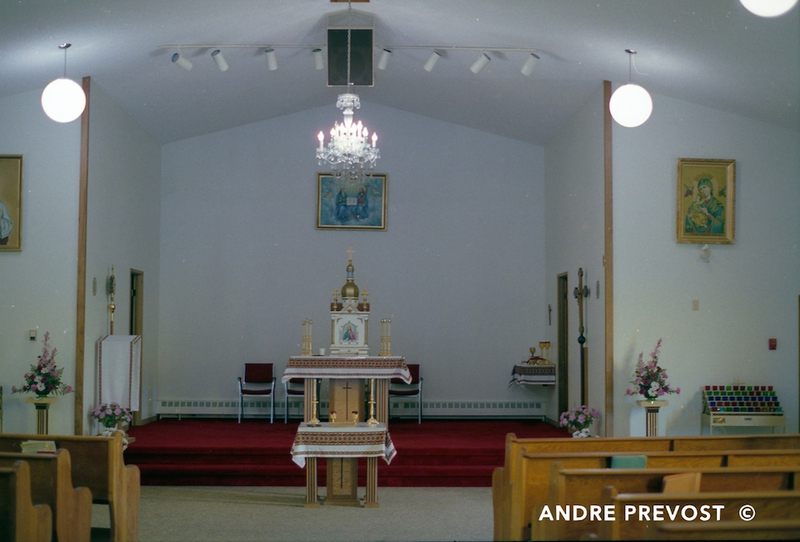 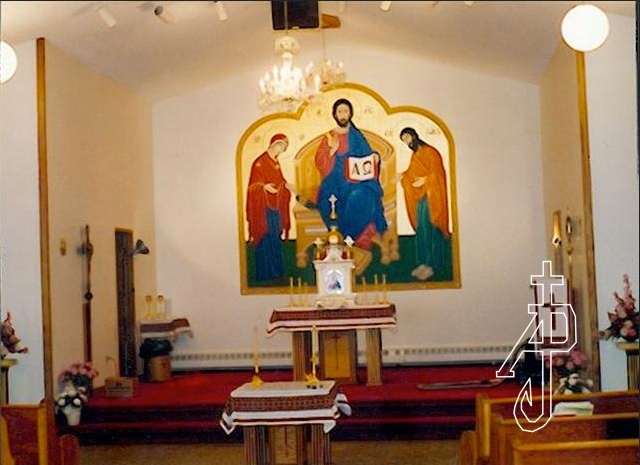 ﻿The three murals were commissioned by Descent of the Holy Spirit Church in Lloydminster Alberta. 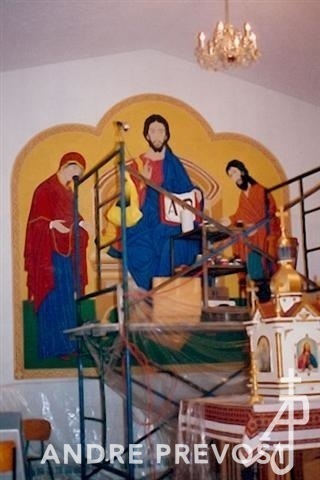 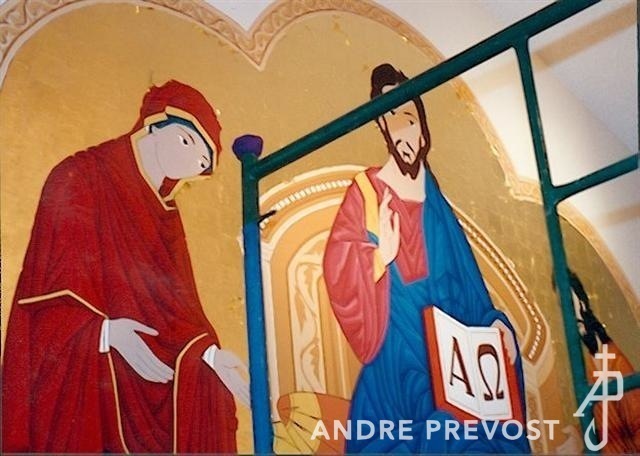 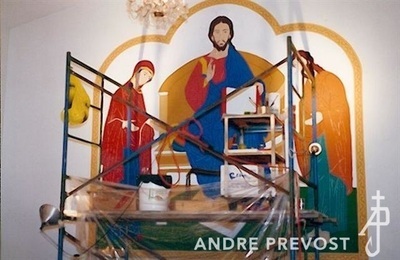 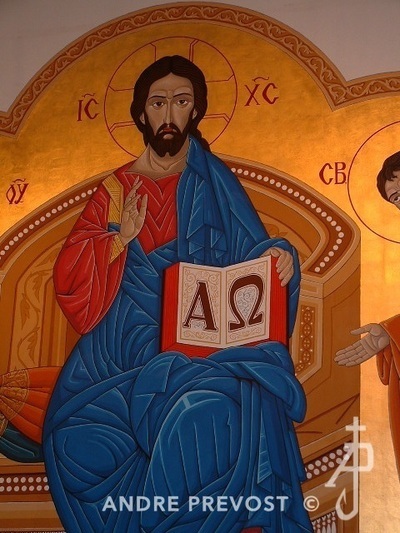 The first mural was the Deesis Mural on the central wall which is 10 ft x 10 ft and written in Acrylic with a 22K Gold background. 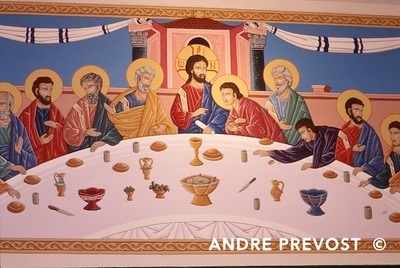 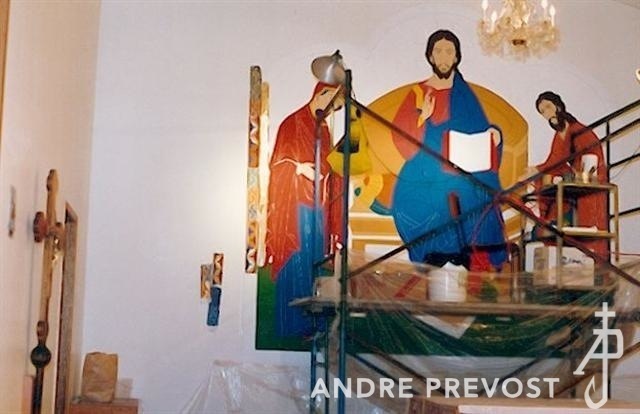 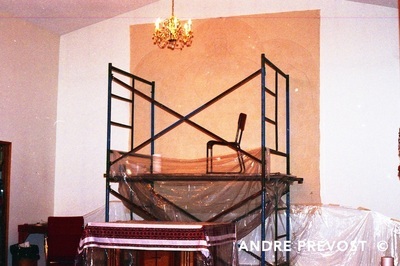 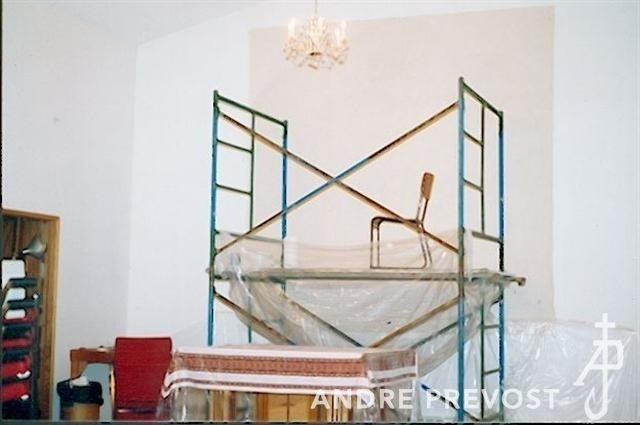 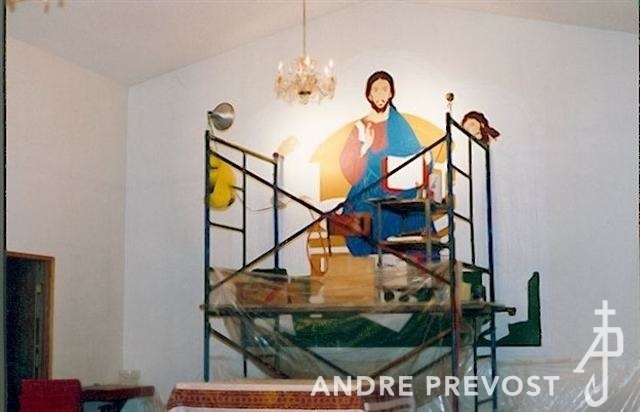 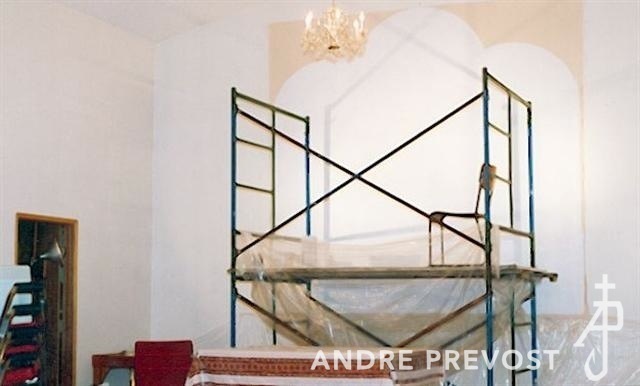 Once completed, two side murals were added in the Sanctuary, each 52" x 14 feet; The Mystical Supper to the left and the Pentecost Mural to the right. 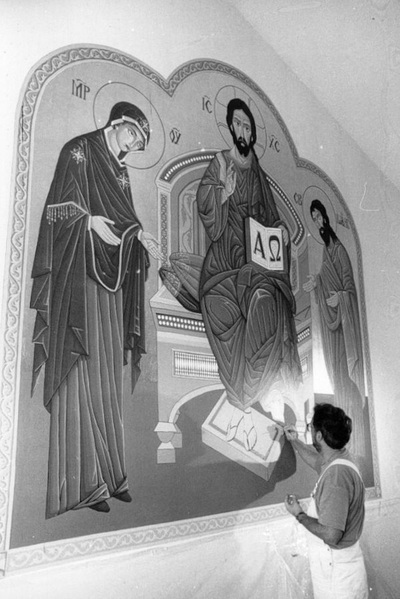 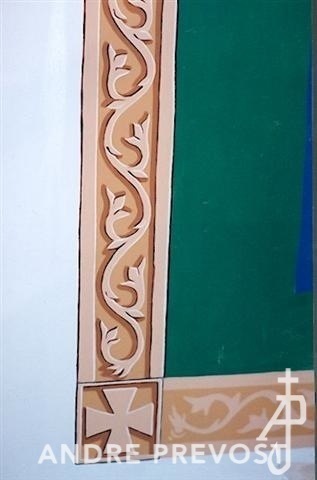 The three murals were written on gessoed canvas which was adhered to the wall surface.